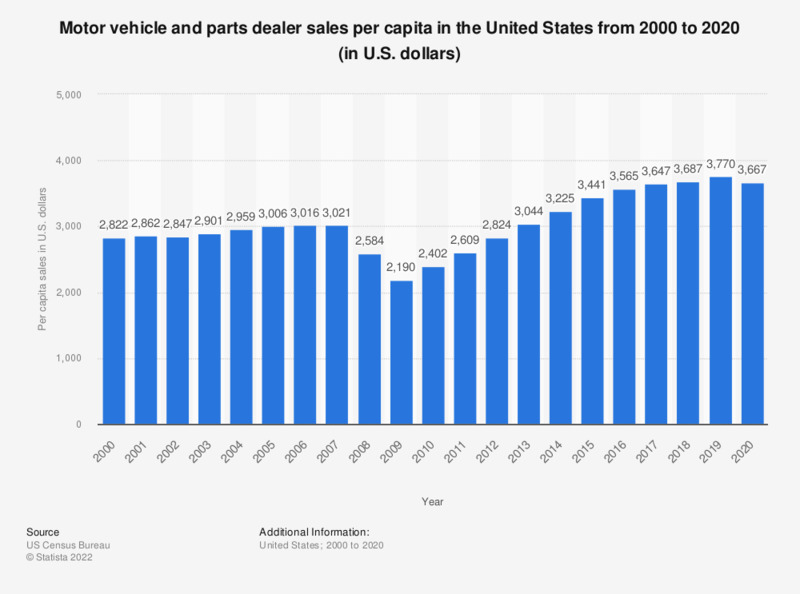 The timeline shows the estimated motor vehicle and parts per capita sales in the United States from 2000 to 2016. In 2009, motor vehicle and parts sales amounted to 2,190 U.S. dollars per head of population. Estimates are based on data from the 2012 and 2015 Annual Retail Trade Survey (March 2014 and 2017) and the Census Bureau's Population Estimates Program. Based on estimated resident population as of July 1. Sales of motor vehicle and parts dealers. To what extent do you agree or disagree with the following statement? My current lifestyle means I need a vehicle.